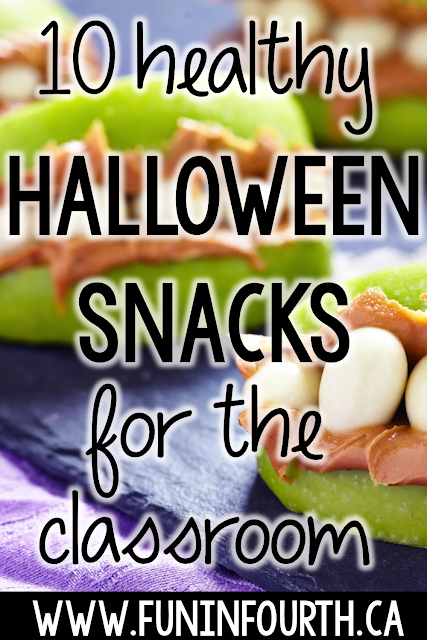 Save the candy for Trick-or-Treating. This Halloween celebrate with these spooky snacks that are actually healthy! This vegetable skeleton is adorable and a fun way to get in those veggies! For a frozen treat, try these "Boo"nana pops! Looking for a reaction? This pumpkin puking spinach dip will get you one for sure. Fruit, pudding, cereal... Cute Food for Kids has a ton of adorable monster cup ideas! 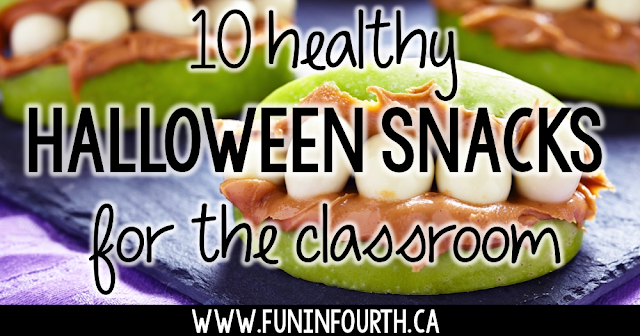 Bananas, pretzels and raisins make some spooky spider snacks! These super simple gauze wrapped mummy apples. Practice your cackle while eating these cheddar witch's fingers. These goulish strawberry ghosts will get gobbled up in an instant. Kids will laugh as they chomp on these hilarious apple teeth snacks. Graham crackers, cream cheese and jam make for some disgusting, but healthy, bloody band-aids. Inspired by this post? Pin it using the image below!